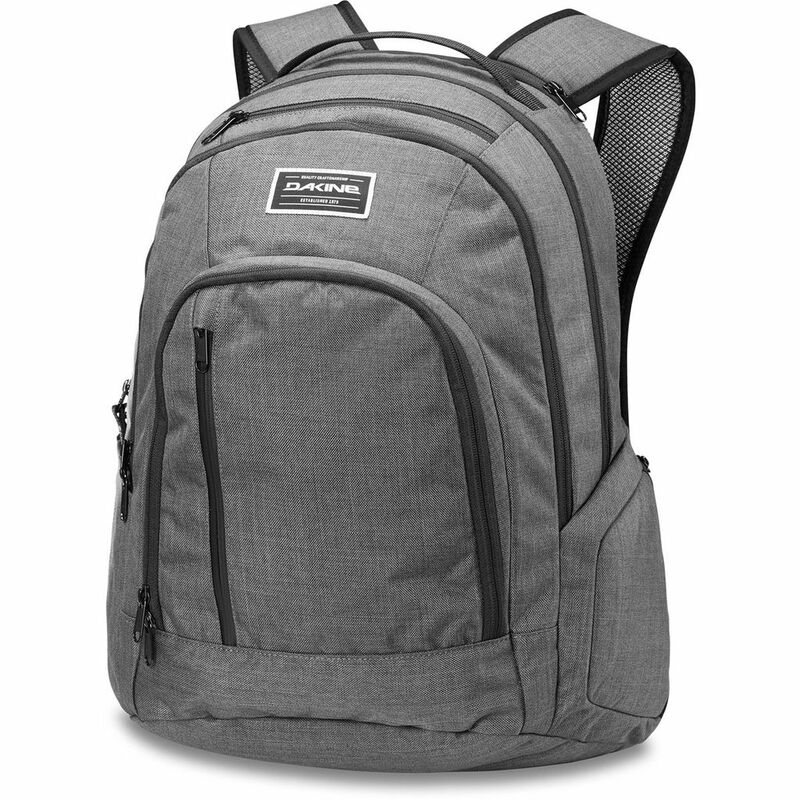 The Dakine 101 is the feature-filled backpack you've been searching for. Great for school, work, and travel, the 101 is divided into three zippered compartments for maximum organization with a padded flat bottom designed to stay upright. If your Dakine bag gets dirty, we recommend hand washing with mild soap (like Nikwax Tech Wash), cold water and a soft bristle brush. If hand washing is not going to do the trick, use a front loader washing machine. To ensure your backpack doesn't get tangled, place inside a pillowcase or mesh bag before washing. Always use cold water, mild soap and run on a gentle cycle. Never bleach your pack. Hang to dry in a warm but shady place, ensuring both inside and out are dry before storing.